How good are the summer months? We hope you all had a lovely Christmas & New Year and a well-deserved break! 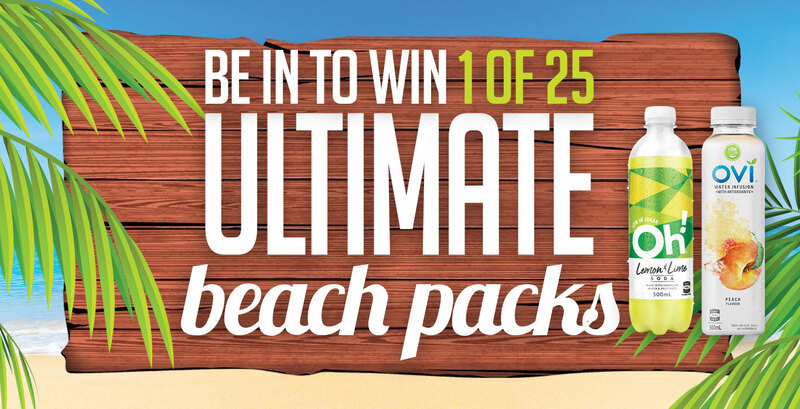 During the month of December (1st- 31st Dec), we teamed up with Frucor to bring our customers a fun summer promotion to kick of the beginning of the kiwi summer. If you purchased any OH! 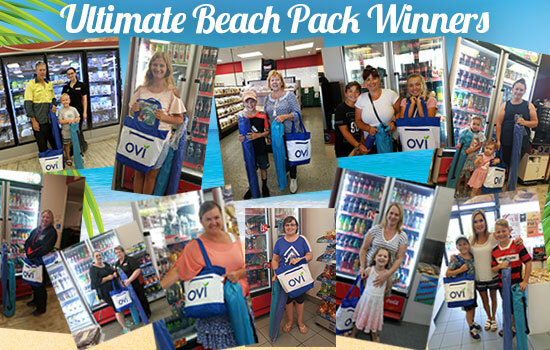 Or Sparkling OVI you were eligible go in the draw to win 1 of 25 Ultimate Beach Packs which included; a beach towel, beach bag, frisbee, drink bottle, sand chair, beach umbrella and beach mat. Everything you need to relax at the beach this summer! Thank you to everyone who entered and a big congratulations to all our winners!